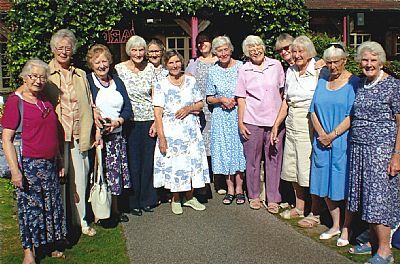 Our next reunion will be held in in Brockenhurst in the New Forest. The date is Wednesday September 18th 2019 from 12 midday. This year's re-union is at the Huntsman Hotel (previously the Rose & Crown) in Brokenhurst on Wednesday September 13th 2017. I have booked the room from 12midday. If you have any queries, please ring me at home on 02380282363 or on my mobile 07763345633. The Rose and Crown is approximately 100 yards from the station and has ample parking space. We meet at 12 midday and leave when we have exhausted our chat! anyone new. We do have members who find Guys nurses on their travels and bring them along, which is lovely. Much talk takes place with memories of Guys. Guys docs and keep up with reunions etc. people would come north for something like this?Most probably to Edinburgh. 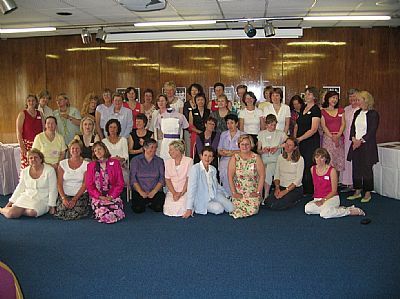 Photo from the last reunion in 2005. At midday on October 10th 2012 , thirty seven members of the October 1962 set met in the Robens Suite at Guy's to celebrate the 50th anniversary of the day we started at Holmesdale on October 10th 1962. We had a wonderful afternoon together, enjoying a nice lunch, lots of chat, a visit to the Gordon museum or a tour of the hospital followed by afternoon tea, before we all said our farewells and departed. People had come from Canada, Bermuda, USA, Scotland, Wales, Spain, Cornwall, Northumberland and throughout the counties of England. During the year I had collated biographies and up to date photos along with original photos taken at PTS and distributed the completed document to everyone so that we didn't feel like strangers on the day. E mail was wonderful for keeping in touch and everyone was very enthusiastic throughout. The friendships we made all those years ago were very special and have stood the test of time and the reunion was an opportunity to celebrate this. that we met at lunchtime !! Several local re-unions have already been established, including Cambridge, Norfolk, Wessex, the West Country and Thames Valley. These enable members to get together locally without having to travel long distances. Normally they are lunchtime events with good food, lots of chat, reminiscing and sometimes a speaker. Weds September 26TH 2012 at 12MD at the Cowherds Public House, The Avenue Southampton. No need to book - just turn up for lunch and lots of chat!